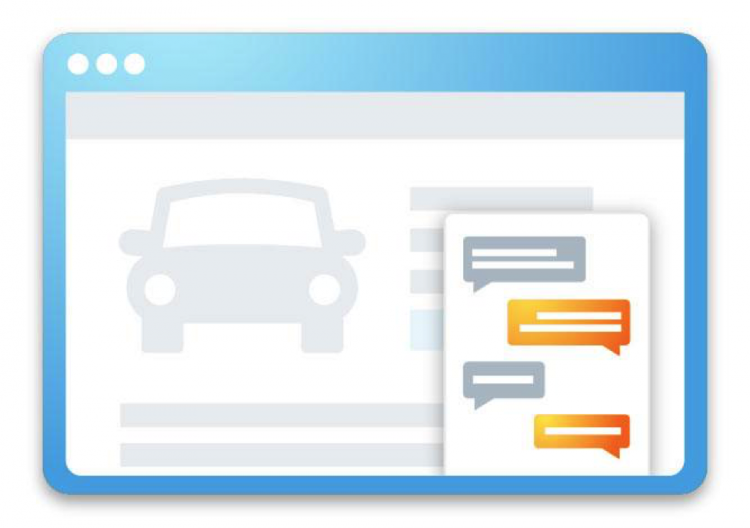 A few weeks ago, I discussed The Enormous Untapped Potential of Live Chat for Service (here’s Part 2) and how it benefits both your dealership’s processes and your service customers. The summarized version is that 30-40% of chats are related to fixed operations, and you should be chatting for the service department. 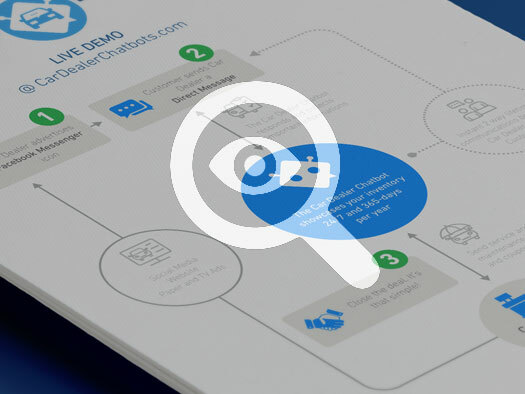 Now, as promised, I want to dive into the strategy behind live chat for service. The short answer to “where do I put a chat button for service on my website?” is everywhere. Why? Because chat buttons and annoying pop-ups are no longer interchangeable. Find a chat provider that follows a brand standard and offers unobtrusive, mobile friendly buttons that enhance the customer experience. If you’re using a traditional chat invitation that deploys only on your service pages, make sure you’re strategic on where you place the button. Generally, the best place to deploy chat is on the service specials page and the appointment setting page. Customers on your service specials page are just waiting for a nudge to do business with you and chat can get them there. And your service appointment setting page is a no-brainer; the easiest way for a customer to set an appointment is to have someone else do it. 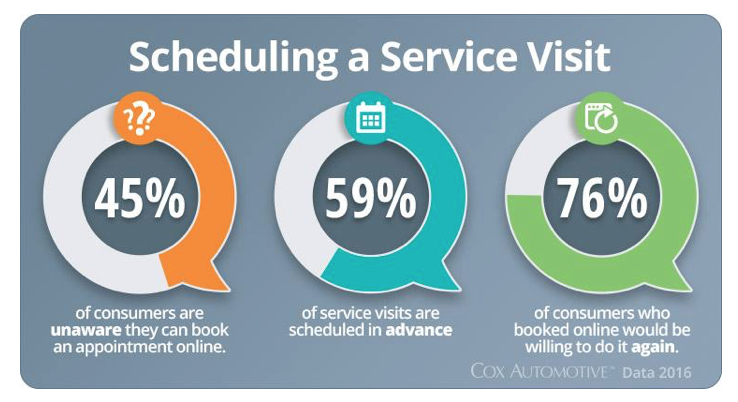 Offering chat as a means to set a service appointment will significantly reduce drop-off and, if used correctly, will increase appointment show rate and RO dollars. The majority of dealer websites have some kind of chat provider, whether it’s in-house, fully managed, or automated. The reason for having chat may seem obvious – to help conversions. Ninety-eight percent of visitors leave the dealership site without submitting any kind of information. If you can improve that tiny number, great, but it must be done correctly. Your service department is integral to the success of your dealership. Service brings in vital revenue and often accounts for the majority of a dealership’s profit. Yet, it’s highly likely that your service department’s manpower and resources are already stretched to the max, limiting the number of service leads and appointments your dealership is able to generate. 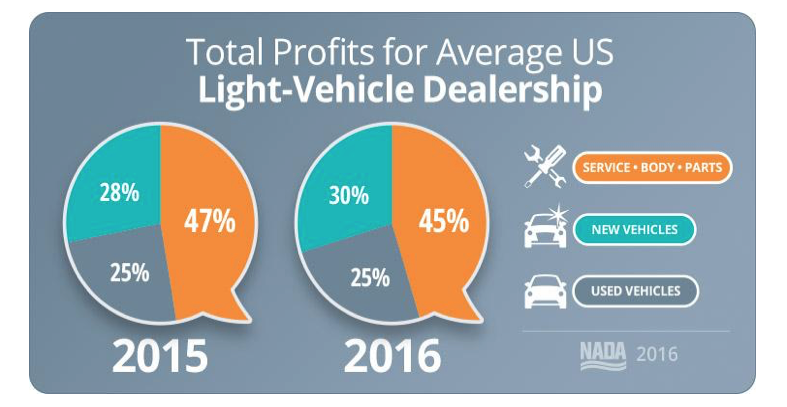 According to recent NADA data, fixed operations account for nearly 50% of dealership revenue. But for some reason, dealers still don’t give the service drive any digital love. 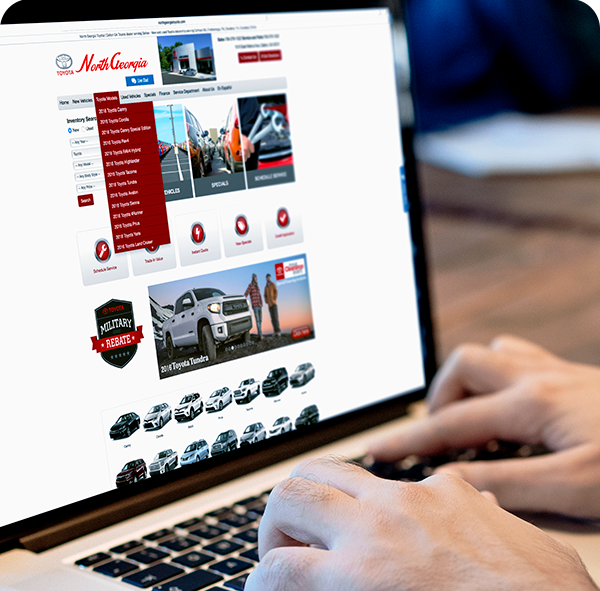 In fact, a recent study by the National Automobile Dealers Association indicated that dealers are only leveraging 3% of their digital marketing to optimize service drive performance. Fortunately, you probably already have the tools available to vastly improve your service department’s digital presence and your bottom line. One of those powerful tools is live chat. Can a $100 Chatbot Really Replace 2 BDC Agents? Facebook Ads work, but you need to start communicating with these prospects! Because you have a dealership Facebook page, you already have Facebook Messenger – that’s a given. Every Facebook account has access to Messenger and everyone on Facebook can and many of them want to communicate with car dealers and other businesses via this application. You do understand that, right? Many people on Facebook (and on your website) want to communicate with you via Messenger! But I Already Have Online Chat & Text, Why Do I Need Messenger? Your online chat is fine; and as I’ve written before, online chat is no longer an option on your dealership website. But, with all of chat’s pluses, it’s not Facebook Messenger. Unlike online chat, which allows the prospect to remain virtually anonymous, Facebook Messenger gives your team instant access to all of the prospect’s publicly available Facebook information as soon as they start communicating with you! Yes, this means you get ALL OF THE PROSPECT’S PUBLIC INFORMATION AS SOON AS THEY INITIATE A MESSENGER CHAT! With Facebook Messenger, you can actually answer your prospects’ questions and begin to build rapport, since you don’t have to get personal with them in order to create a lead in the CRM. Oh, and with the right partner, your chatbot actually does nearly all this work. Okay, But Can a $100 Chatbot Really Replace Two BDC Agents? The truth is that while a $100 Car Dealer Chatbot can do the work of an infinite number of BDC Agents, for some dealers this means they might actually need to add BDC Agents. Chatbots can not only answer your Facebook Messenger communications instantly and correctly, but they can do so 24/7/365. Chatbots never get sick, they’re never late to work, and they can handle a nearly infinite number of conversations simultaneously. A chatbot is like an answering service that works with virtually any major provider of chat-like applications and/or products (Facebook Messenger is the most famous of these). Chatbots are most often driven by rules and scripts, though sometimes can be powered by artificial intelligence. Just like an answering service, the best car dealer chatbots act like an extension of your team. The only difference is that the chatbots do all or most of the work that a human would normally do when communicating with a prospect or customer. In fact, great chatbots are basically decision trees that can answer customer questions faster and with more accuracy than an expensive salesperson or live BDC agent. When necessary, based on the rules created, chatbots can even “warm transfer” a customer to a live agent who can assist with anything requiring human intervention. Car dealer chatbots provide instant two-way communications between your dealership and your customers. They help you build trust while maintaining a single communication thread that includes the lifetime history of messages. Facebook Messenger chats become sales leads your team can follow up with, because you’ll immediately have access to your customer’s Facebook public profile information. Moreover, with the right Chatbot partner, you’ll even answer Messenger chats on your own dealer website! Okay, I’m Ready to Learn More, Now What? Watch the quick 88-second video on that page. Click “SIGN UP” on the link to the right of the video (also on the bottom of the page). That’s it. They do all the work; but understand that at $100 per month and no contracts, this is not a “high-touch product” many dealers are used to overpaying for. In other words, this does not require a 5-hour meeting followed by seven demos and a final okay from your group’s CEO. Be ready to buy and start generating real leads really freaking fast! 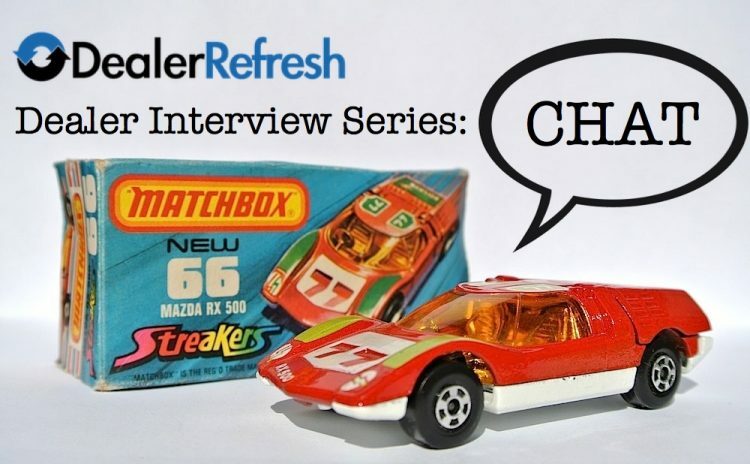 Take a look at this and continue the conversation over in the dealerrefresh dealer forums. If someone had told you 10 years ago that people would be ordering everything from groceries to cars on their phone without actually speaking to a store representative, you probably wouldn’t have believed them. But today we do all that and more with our smartphones, and the evolution of text message (or SMS) communications and customer care has grown right along with it. A 2014 study conducted by Morpace found that more than 35% of people were either ‘very’ or ‘somewhat’ interested in receiving text messages from auto dealers after they purchased a car. These messages could be about scheduled maintenance, recalls, or even reaching out about vehicles and special pricing. 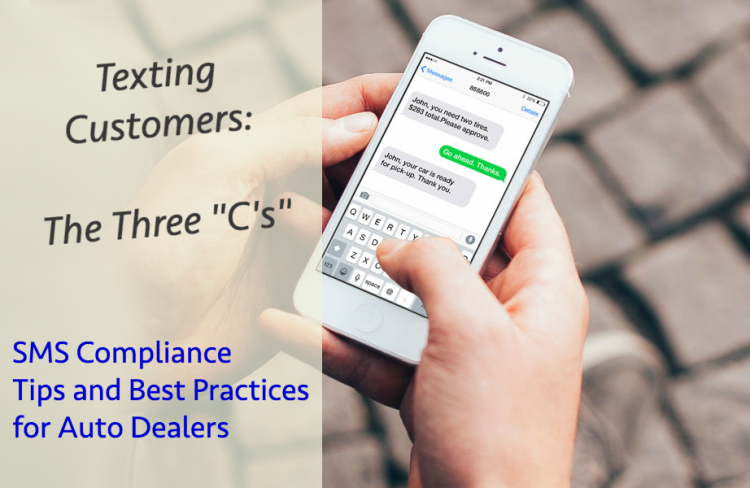 The automotive industry has been particularly uneasy with implementing texting solutions after high-profile lawsuit settlements have left dealers and dealer groups understandably cautious. Customers love the freedom and accessibility of live chat. And why shouldn’t they? Online shoppers can chat directly from a webpage, from the comfort of their own home, and with no wait time. Aside from customer satisfaction, live chat is an essential tool for converting online leads. And when chat leads are combined with efficient follow-up tactics, the end result can be significantly beneficial, even if there’s one person working following up on leads. In an interview with Jake Davis, Manager of Internet Sales and Business Development for North Georgia Toyota, he provided some unique insight into how a one-man BDC leverages chat to drive sales for his store. Why did you decide to invest in live chat? Jake Davis: Coming into the role of Internet Sales Manager, I wanted to accommodate the needs of our customers. Today’s consumers want to engage with businesses when it’s convenient for them — when they’re ready. In chat, online shoppers have control of the conversation in that they can start and end the chat at will, ask questions any time of day, and have plenty of time to formulate questions without worrying about being pressured by salespeople. What prompted you to outsource chat instead of managing it in-house? Jake Davis: Managed chat just seemed like the natural choice for my store. Being a one-man BDC, I didn’t have the time to get to the chats quick enough, nor did I have the capability to be there 24/7. I figured that a chat team that focuses solely on chatting has more experience with online customer service and can see to it that our shoppers are taken care of after my dealership is closed. It also seemed like the obvious choice since the provider I went with constantly trains the chat team to stay both proficient in the art of chat and knowledgeable about my store. There was just no competition between myself and a company that with nine years of live chat experience under its belt. How have you leveraged chat to follow up with potential customers? Jake Davis: As soon as a chat lead comes in, I read the chat transcript and try to get them on the phone, answer their questions, and go for the appointment. When prospects don’t pick up the phone, I leave a voicemail and send them an email thanking them for chatting on our website, recap what was discussed in the transcript (“I see you discussed…”), and answer their questions. Something that works very well for me is that I always mention the chat representative’s name in follow-up. There has already been some rapport built in the chat, so referencing the rep shows that I know, understand, and care about the shopper’s needs — and shoppers take really well to it! Have you experienced a positive ROI since investing in managed chat? Jake Davis: After subscribing to the managed chat service, it began to pay for itself within the first few months. I’m actually coming into the best months as far as appointments and sales from chat leads go. We sold ten chat leads last month! So, yes. I’d say managed chat is a very cost-effective way to generate sales opportunities on my website for a minimal cost. It just makes sense. What’s next for your store’s Internet Department? Jake Davis: Business is going so well that we’re going to need a BDC soon. I’m very excited about that! I currently handle most of our website leads, typically about 150 – 200 a month. As our website conversion continues to increase, we’ll need to expand to handle the boost in business. Eventually, I hope to have a team in place to help our store capitalize on our leads. Are you considering any new strategies for the future? Jake Davis: I really want to engage online shoppers at strategic points in their shopping journey, so I’m looking into behavioral targeting. Presenting shoppers with relevant messages when they’re on specific pages on our website would be hugely beneficial. From what I’ve researched on behavioral targeting, I’d have the ability to decide when specific ads will deploy on my site, based on consumer activity such as click-path, time spent on a page, and what device they’re using. The more we can cater to our customers and personalize their shopping experience, the more effective our digital marketing efforts will be. Are you looking for ways to improve your Customer Survey scores? Do your service advisors wish they had a clone to do all the follow-up for them? Would you like to see more first-time customers return to your service department repeatedly? Naturally these are things all dealers desire and there are many ways to achieve them. But how these things are achieved and how efficiently they are achieved will vary from dealer to dealer and with mixed results. You know how hard it is to move the needle on Overall Satisfaction with your CSI. Averages are all too easy to decline, yet improving your average score can be like climbing Mt. Everest. Therefore, every single percent increase counts in a big way. What Are “Active Customers” and How Should We Communicate with Them? 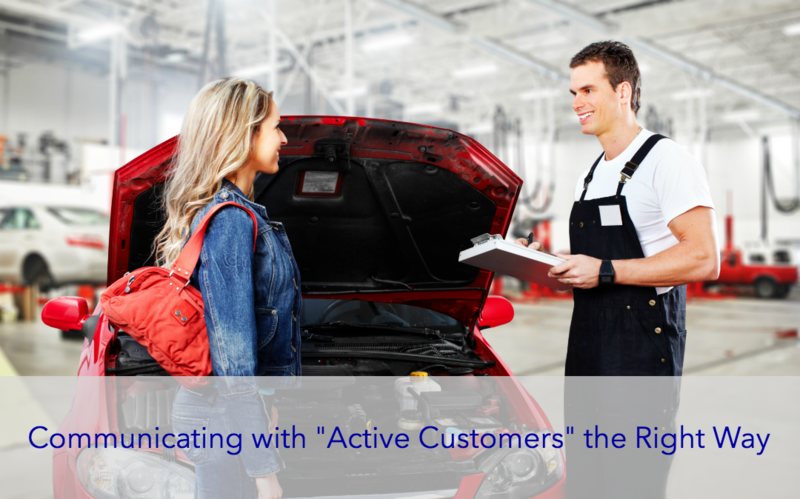 When someone chooses to do business with your dealership and brings their vehicle in for service, they are no longer a prospect anymore, they have become an “active customer.” Chances are, you did many things right and well to make them an active customer, but if you aren’t proactive and you fail to change the relevancy of your communications right away, you could be at risk of making a bad impression. At industry events such as NADA and the Digital Dealer Conference and Expo, the aisles are laced with booths for ad agencies and marketing companies telling you that your existing customer database is an untapped goldmine filled with previous and potential customers that already know you and need what you provide. All you need to do is stay in front of them. But how and when and with what message and information? And which medium – email, phone, text? Sales and service customers both need warranty work and routine maintenance. Service customers need more extensive service and parts while parts customers are buying parts and accessories for the very same vehicles you service. There is literally no segment of your existing customer base that wouldn’t benefit from special offers and incentives from your service department.